The central government could give many gifts in the area of health during announcement of this year's Union Budget on February 1. 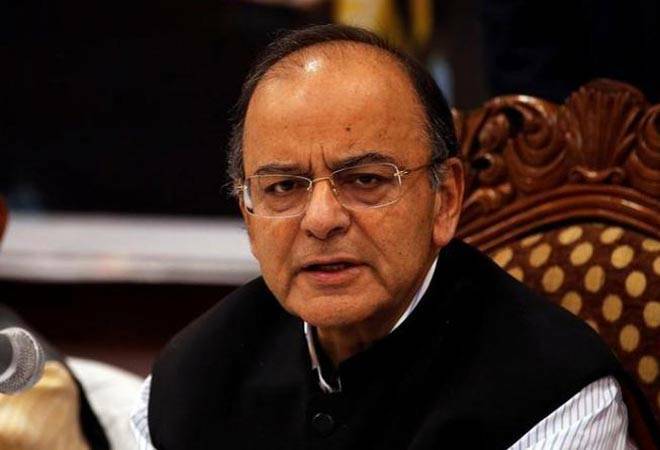 Sources say Finance Minister Arun Jaitley could allot Rs 1,200 crore to open health and wellness centres across the country. The central government could give many gifts in the area of health during the announcement of this year's Union Budget on February 1. Sources say Finance Minister Arun Jaitley could allot Rs 1,200 crore to open health and wellness centres across the country. During last year's Union Budget, the Finance Minister had announced to covert as many as 12,500 health sub-centres into wellness centres. A government source has told Mail Today that "The government will need to spend around Rs 16 lakh to covert a health sub-centre into a wellness centre. Meanwhile, a health sub-centre can provide only five kinds of services while health and wellness centre can provide 12 kinds of different services." The government could announce a plan to open around 12,500 health and wellness centres across the country where people would be able to get services including mother-child care, infant-children healthcare, family planning and delivery services, infectious disease management, non-infectious disease treatment and services for elderly. Apart from the allocation of Rs 1,200 crore to open these health and wellness centres, the goverment could announces additional funds for state governments, making the total allocation under the health and wellness programme to under Rs 2,000. 11% increase in funds for health sector? According to a report published in Reuters, the government could raise annual Budget allocation on public health by 11 per cent to $8.2 billion, which is less than Prime Minister Narendra Modi's ambitious target of spending 2.5 per cent of the country's GDP on health. The report suggests that Health Minister JP Nadda had written to Finance Minister Arun Jaitley to enhance this year's Budget allocation on public health by whopping 33 per cent to $10 billion on grounds that the government needed to expand vaccination programmes and free drugs distribution system in the country. However, the government, which aims to boost economic growth through investment in roads and other infrastructure avenues, is bound tighten allocation for other sectors considering sluggish growth and dip in revenue generation. Experts suggest the Budget spending on health should be increased substantially in order to boost nation's overall productivity. The GST collection for November (Rs 80,808 crore) has declined continuously after August primarily due to reduction in GST rates for many items twice after its rollout last year. A sum of Rs 83,346 crore was collected as GST for October, while it was Rs 95,131 crore in September. The GST for August was recorded as Rs 93,141 crore.